Skylark Paragliding is led by Dave Lewis and backed up by some of the best pilots and instructors available who each bring their specialty so we can offer the best paragliding services available. 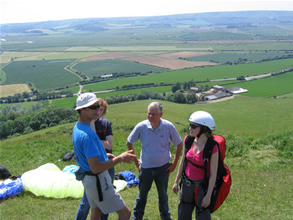 We have taught paragliding at some of the UK's premier flying schools and have guided pilots on advanced courses in some of the world's most demanding flying locations. The South Downs is our home area and the experience gained over many years means we are expert in the local sites and conditions. 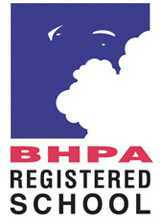 We are registered with and controlled by the British Hang Gliding and Paragliding Association. 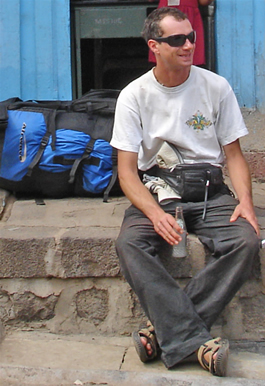 Profession: Tandem Paragliding Instructor and Adventure Flying Guide. Flying experience: qualified in 1998, flown approximately 2500 hours on paragliders. Licenses held: (BHPA) Advanced Pilot, Senior Air Experience Instructor, Foot Launched Powered Aircraft Pilot, Hang Glider Pilot, Senoir Coach. Dave Flies around Sussex just about every day it's possible, either on the tandem or on his sports solo glider. Even if there's no customers he's often flying on the tandem glider, refining techniques and making sure he flies to the highest standard possible. 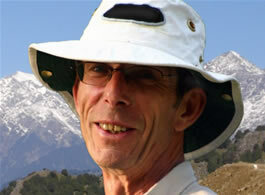 Dave is very active in the Southern Hang Gliding Club, the biggest hang gliding and paragliding club in the UK. After 8 years in the position of Chief Coach, Dave has now taken on the role of Sites Officer. For the last 15 years, Dave has spent the winter in India, guiding groups of pilots in the Himalayas or in South India's Western Ghats. The rest of the winter is spent in company of other top pilots from around the world exploring some of Asia's world class flying sites and learning from each countries best practices. Profession: part computer engineer, part paragliding instructor. Flying experience: Qualified in 2000, flown approximately 500 hours on paragliders. Chris began his flying career piloting light aircraft around the channel islands, but has since seen the light and has since dispensed with both engines and metal. But he's certainly not forgotten his training and has a knowledge of air law and navigation second to none. He's often to be found teaching beginners at one of the South's premier flying schools, reserving most of his UK flying to an hour on his sports solo at lunch-time. For the last few years Chris has been with Dave guiding pilots in the Himalayas during the winter, refining both his teaching and his flying skills, including competing in the pre-world championships there in 2005. Chris is also a veteran of many safety training courses, and knows a thing or two about fixing collapsed gliders. Pilot: Dave. Ex-engineer, ex-caver and now one of the best pilots you'll find. Pilot: Chris. Ex-private pilot, and a fine paragliding instructor.